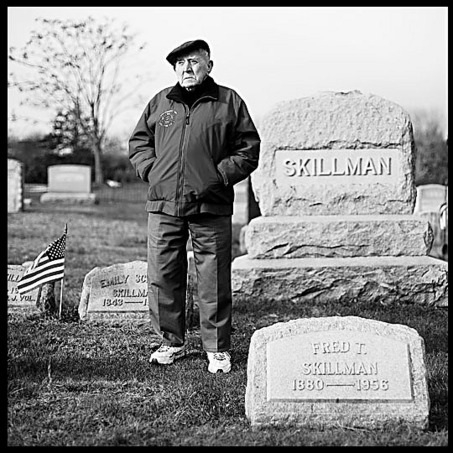 Thomas Stryker Skillman - Skillman Family Association Inc.
Born in a farmhouse in 1911, Thomas Stryker Skillman of Somerset County, New jersey, is probably the oldest living member of the General Society, Sons of the Revolution. The retired farmer and former quality control inspector for GM surpassed the century mark last year. In 2012, he celebrates 101 years of longevity. All his life, Mr. Skillman has lived in or near an unincorporated area of Montgomery Township named after his family. The area earned the Skillman name after the railroads arrived in the 1870s and the new train station was named in honor of Thomas’ great-grand-father, Joseph A. Skillman, a teamster. When the Reading Railroad got underway with construction in the area, contractors found soft ground in the spot where the station was to be built. Rails could not be laid there without sub-support being installed first. Enter Joseph Skillman, whose “wild Missouri mules” were hired out to haul in logs for a corduroy road on which the rails were laid. In appreciation to the teamster, the Reading Railroad named its new station after Skillman. According to the Newark Star-Ledger, a post office opened in the train station and soon afterward a small village grew up around it, with a hay press, feed store and hardware store. The village took the Skillman name, too. The Skillmans were originally Dutch, but they came to Brooklyn from England in 1664, according to family records. In 1729, one Thomas Skillman ventured westward into the Garden State, buying some five-hundred acres of farmland on the Millstone River, near the village of Rocky Hill, in a region called Sourlands. That purchase was the Skillman family’s entry into the area. Just as the railroad looms large in the town’s history, it also looms large in Thomas’ childhood memories. He told a reporter for the Newark Star-Ledger that when he was a boy he watched huge engines and heard the train whistles at night. By the time he was in high school, he rode the train each day. His father, Fred, was the assistant ticket agent at the train station. When winters got too cold for the family to remain in their farmhouse, they moved into temporary quarters at the station. 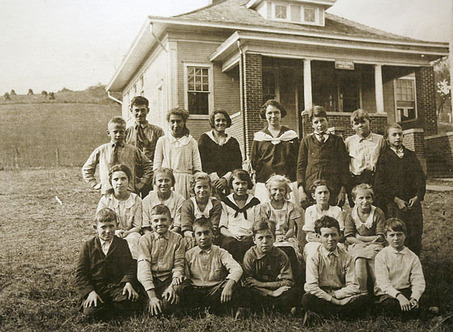 Mr. Skillman recalls when homes did not have indoor plumbing. He remembers when radio was new, when a horse and carriage was the chief means of transportation, when schoolchildren used inkwells, and when’s wages of fifty cents per week for pumping the church organ was considered good money. He most values his membership in the Sons for the friendships he has built, and he advises younger generations to always remember the Pledge of Allegiance. — Editor. NOTE: Special thanks to Frederick Gilman of Montgomery Township.